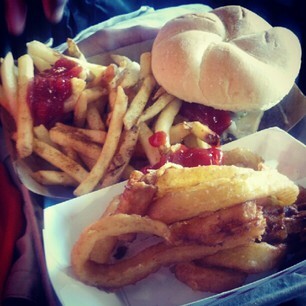 I'm becoming a regular at the ball park here lately. From a girl who thought that baseball was torture to watch, to a girl who actually recognizes some of the players on the team, and calls them by name, I would say I've earned my right to be called a fan. 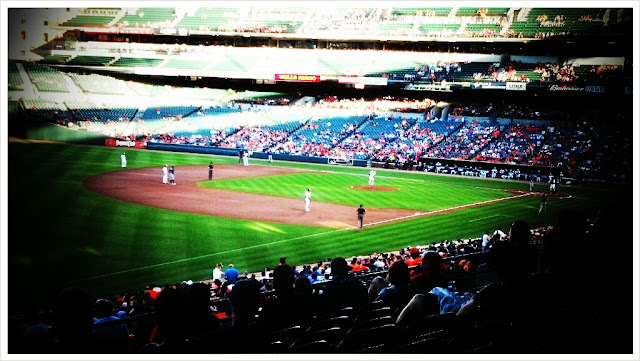 Baseball is much more exciting in person. The atmosphere is filled with chanting fans, great music selections, the infamous wave around the ballpark, cool giveaways and of course, live action. The anticipation of waiting for the pitcher to throw the ball out, or possibly throw it to first base to catch a player trying to steal, is nerve-wrecking. I am never sure if the batter is going to strike-out, walk, get struck with the ball, or knock the ball out of the ballpark for a home run. Baseball is so unpredictable. 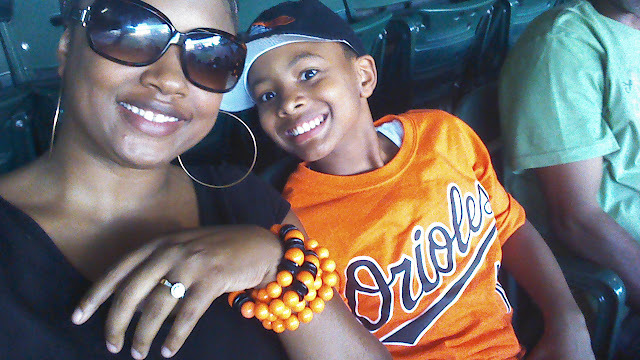 Yesterday, my family and I attended a Baltimore Orioles game at Oriole Park at Camden Yards. We were given tickets to check out one of their games (consider yourself, disclosed). To say that we enjoyed ourselves would be an understatement. 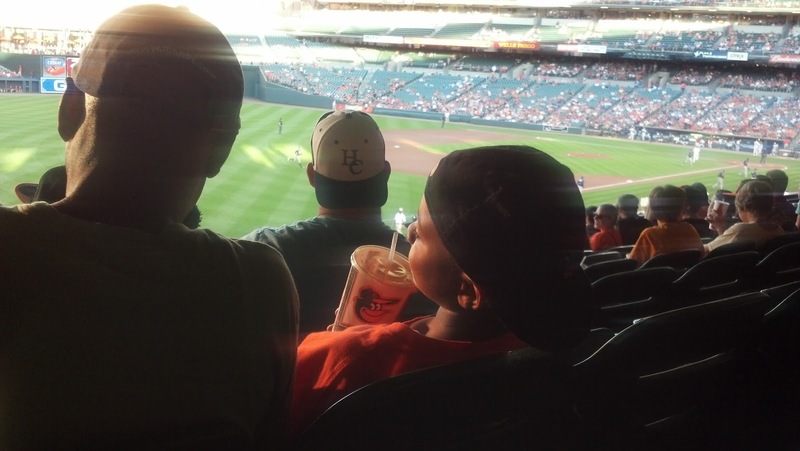 The weather was absolutely perfect, the seats were nice and most importantly, Kaden said he had a great time. 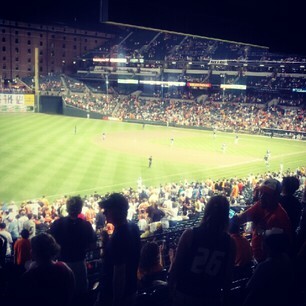 The Orioles fell short during this game, but it was fun to cheer them on. I support local. Go Baltimore, MD! 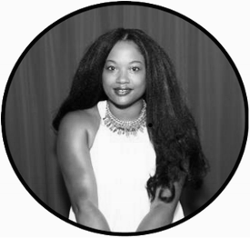 As mentioned before, I am happiest when I can share the "perks" of blogging with my friends and family. It is not all about freebies and exclusivity. To me, blogging opens up doors to opportunities that can possibly create memories of a lifetime with the ones you love. Baseball is one of these things. 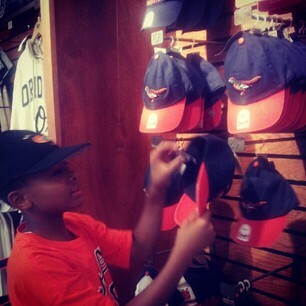 Kaden's grandfather is a baseball lover. Always has been. 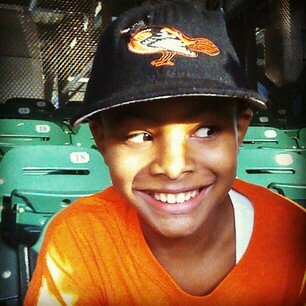 Whenever I get the opportunity to include him in our baseball adventures I am excited. Although Kaden's career with baseball did not last past one season, he still enjoys watching the sport with his grandfather. It's almost as if his grandfather is reliving the moments he had with Ian, Kaden's Dad. 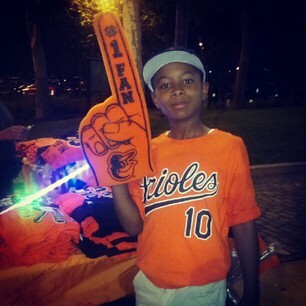 Ian was a member of the Junior Dugout Club at Oriole Park at Camden Yards...back in the day. It is a program that still runs today. 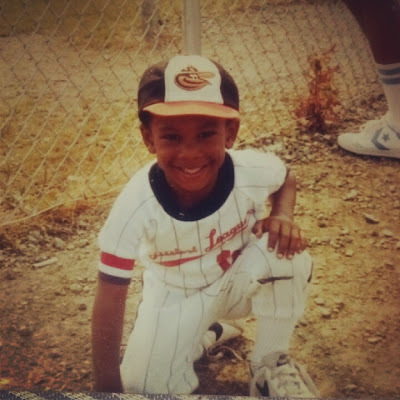 Check out the baseball that ran through Ian's (on the left, 1983) and Kaden's (on the right, 2005) veins when they were little boys. Please resist crying. I couldn't. They are just too cute. 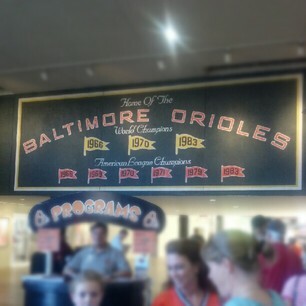 The official kids' club of the Baltimore Orioles! 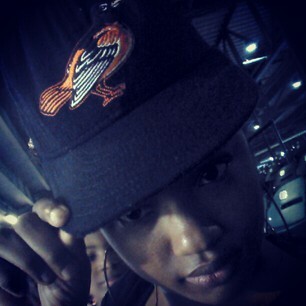 All inside an Orioles drawstring bag! Guess what?! 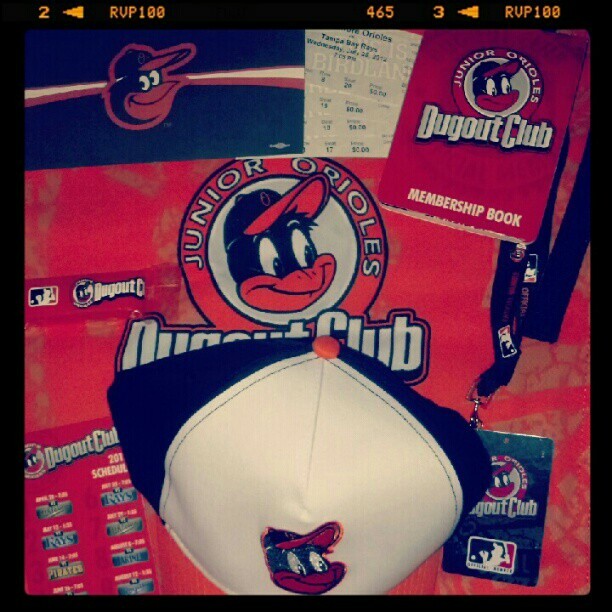 I have one JUNIOR ORIOLES DUGOUT CLUB MEMBERSHIP to giveaway to YOU!!! You'll receive everything in this picture, minus the tickets...which were ours. Giveaway is open to US residents age 18 and older. Only one entry per household. Please leave a valid form of contact in case you are the winner. 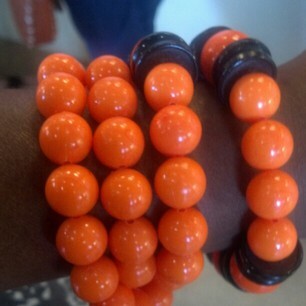 Winner will be chosen, contacted and have 48 hours to confirm. Mommy 2K is not responsible for lost, stolen or late prizes. 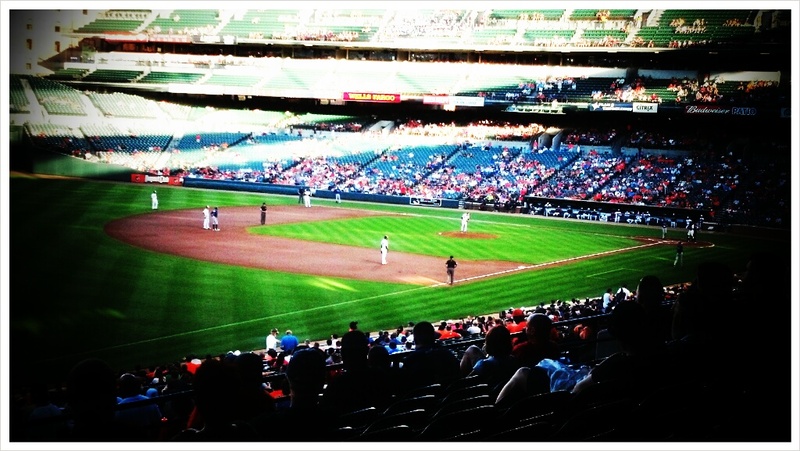 My family and I were given complimentary tickets to attend the Baltimore Orioles baseball game. The opinions and views are my own.